Whatever you think of the three films released in the DC Extended Universe thus far – that’s Man of Steel, Batman V Superman: Dawn of Justice and Suicide Squad, for those with short memories – you have to admit there’s a huge amount of potential in the idea of a sprawling movie franchise based on the DC comic book world. While Warner Bros. have had mixed success so far in delivering movies that manage a solid critical reception, what they are good at is coming up with ideas for their projects. All three of those previous films were terrific ideas, even if the execution of each could have been pulled off a lot better. Still, the studio is clearly not letting the critical kicking get them down, as they plan to play out this franchise to its completion. And that’s definitely a good thing. As we’ve argued recently on WGTC, there’s still a lot of life in the DCEU yet. 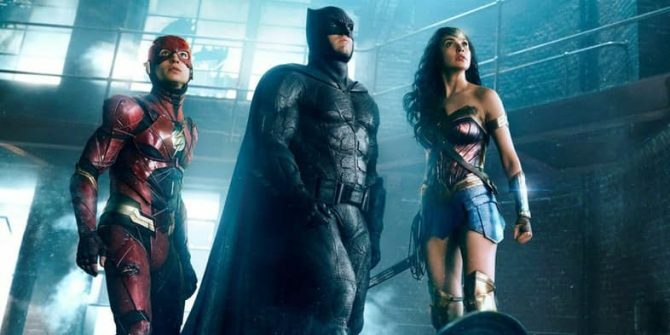 This year, we’re getting both Wonder Woman and Justice League – they arrive in cinemas in June and November, respectively – and assuming those movies do well, you can be sure that this will be just the tip of the iceberg, as the studio have a hefty number of future projects on the slate. There are, in fact, a whopping 16 films based off DC comics coming are way in the next few years – or at least, they’re in development. From The Batman to Booster Gold, read on for your handy guide to every upcoming DC movie that’s currently in the works.